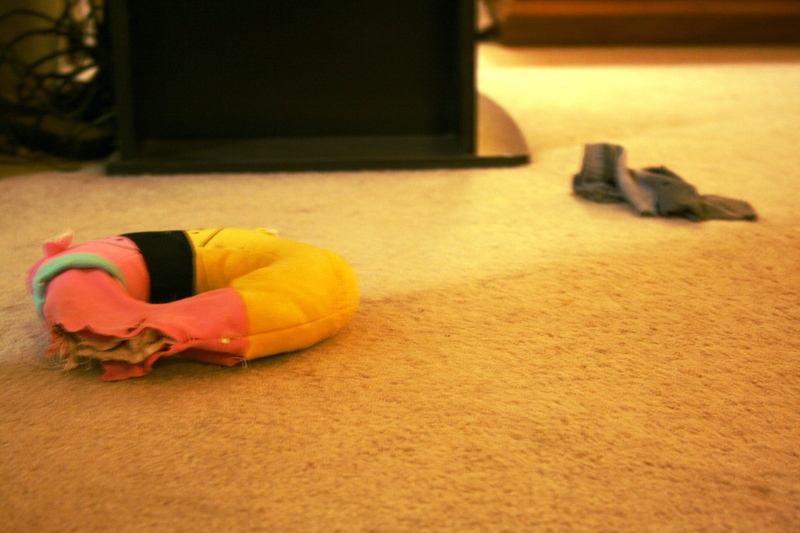 This is what I’ve been coming home to the past few evenings, but in much better focus. Goldie’s ginormous “condo” and various doggie entertainment spread throughout the living areas. Can you believe I dusted everything the night before? Dust-gusting isn’t it? (Sorry, I can’t resist a good pun). 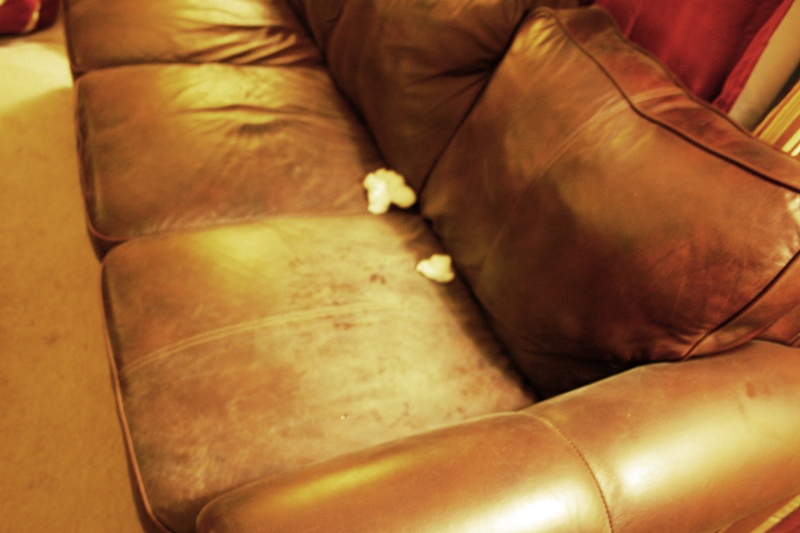 All the leather cleaner in the world cannot keep that couch clean. I should know, within the past week I’ve cleaned it 4 times, and it’s only Thursday! 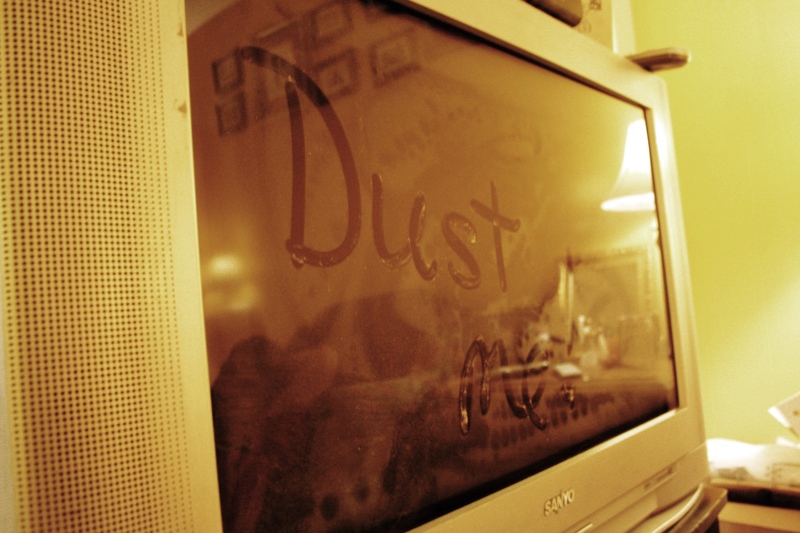 The coming home routine has turned into a cycle: dust the dogs, dust the house, dust me. We go through about 4 baby wipes per dog every night, not to mention the leather cleaner and dust rags I’ve been having to use nightly. But enough of my whining, all this dusting has made me realize we need to make some changes in the backyard to keep the dust settled. Right now we have a “xeroscaped” backyard. Meaning we’ve got dirt and rocks, and what used to be trees and bushes. 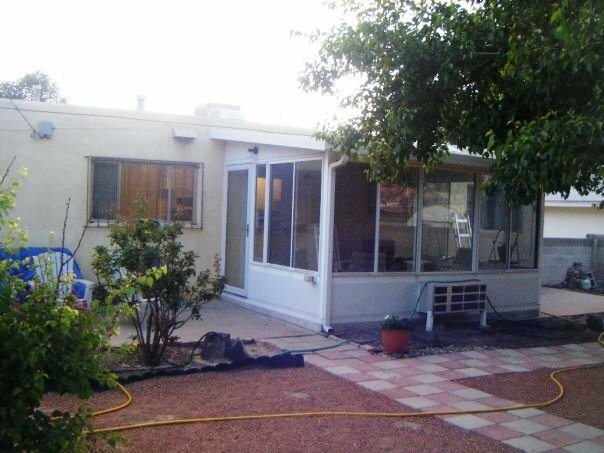 Our yard before the new windows and before the dogs. Sometimes I miss those days, when the yard was ours, and there were plants to enjoy. But I digress. Some changes need to be made to the yard to maintain my sanity and keep my allergies in check. First, some sort of ground covering to keep the dust levels down. Maybe woodchips, maybe some sweet smelling mulch (I love the way good dirt smells), maybe a little of both. And of course, I’ve got to find a spot to put Goldie’s pad. 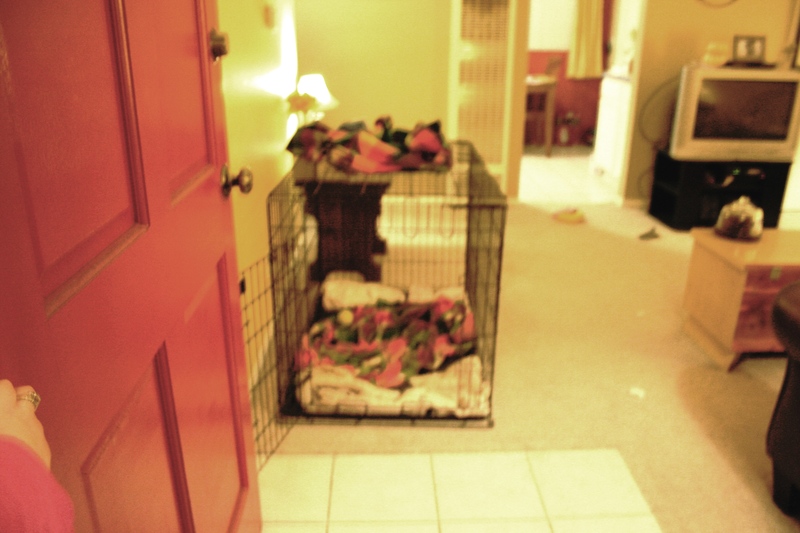 As much as I love being greeted by two wagging tails when I come home, I really don’t love seeing a huge kennel.